Will my money really benefit the children, or will it line some administrator’s pocket? 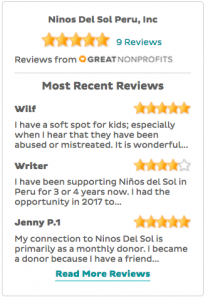 We are trying hard to stay on top of the ever-changing financial situation at Niños Del Sol. 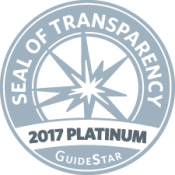 So read on for the real scoop on where your money goes, and learn just how lean our organization really is. Every month, our US Board President, Darrin Davis, empties our Paypal account and wires the money to Peru. We keep no share of it in the U.S. The money he’s able to send is never enough — right now what we have in monthly commitments is less than 1/4 what we need to pay our bills. Every month we simply hope and trust that we’ll get enough single donations to keep things running. We have no reserve; one bad month would destroy us. It is very scary for all of us, to be honest. As much as we love one-time donors, we really need the safety net of knowing we have enough coming in to pay the bills. That’s why I push the monthly donations so hard. The most important thing to note is that we aren’t spending any money at all on salaries for administrative staff in offices. Our board members are all volunteers, and we each work from home and pay for our own expenses. We haven’t been spending any money on fundraising, either, although we’re going to have to carve out some small figure in hopes of increasing our donations if we want to survive. The kids help with cooking and clean-up on a rotating schedule, but we still have to pay for adult supervision. Our biggest expense is staffing. We pay two full-time co-directors, Viviana and Avishai. Together, they handle all the work of managing the home and the apartment in Cusco for the college kids, as well as raising the children on a day-to-day basis. 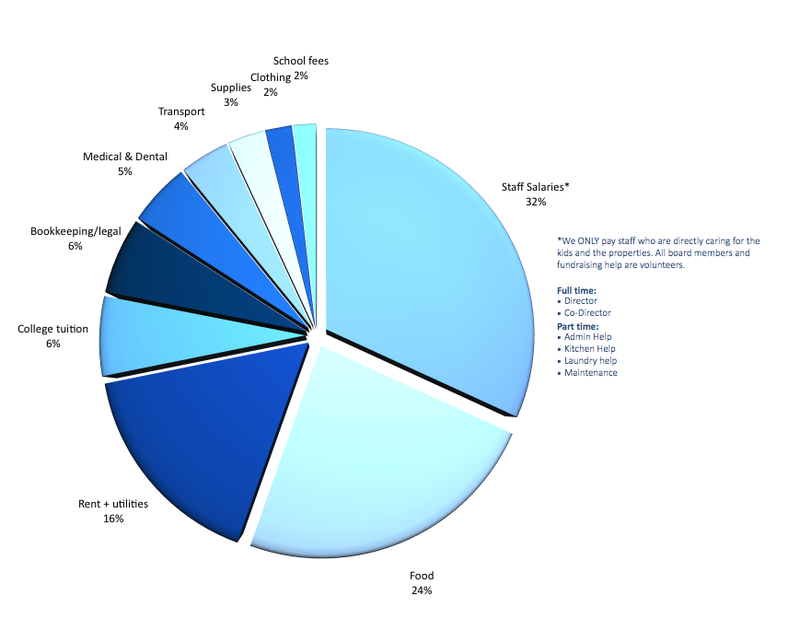 They have at times chosen to work without pay when our funding is low, which is simply unacceptable, but as you can see from the pie chart, the alternative would be to not feed the children. This is why I am constantly begging for more donors. We cannot function this way. We also have part-time staff who help with meal preparation and laundry, and one man (full-time, pardon my error in the graphic) who helps with gardening, driving, and maintenance around the property. This is one big reason why our expenses are higher than you might imagine when you compare them to a family. We have to pay adults to do the jobs that would normally be done for free by parents in a household. And caring for 20+ kids requires more than two adults. If you take out this piece of the pie, what’s left would look much like any family’s budget. and the kids are learning gardening skills and doing chores there, too. Although we grow as much food as we can, we have many mouths to feed and there is simply no way around the constant need for food. Especially now that the kids are teenagers, their bodies require a lot of energy. If you’ve raised teenagers, you know how much they eat — and how quickly they go through expensive goods like toilet paper, sanitary products, and shampoo. Our next largest expense is rent and utilities. We are paying for two properties at the moment, the Casa for the staff and kids and the apartment in Cusco for the kids attending college. We hope to move the younger group to a less expensive space when our lease is up, but we need to maintain a home with space for the college kids to visit on weekends and holidays as well. Tuition is far more affordable in Peru than in the U.S., but we are paying for either University or Institute (vocational) training for 10 kids now, so this has grown into a serious expense. School and art supplies help keep the kids engaged and help their minds and spirits grow. Those are our main expenses, and make up more than 75% of our budget. The rest goes to pay our bookkeeper, buy clothes for the kids (donations help a lot but it will always be necessary to buy some things), provide medical and dental care, shuttle the kids back and forth to their schools and bring the Cusco kids home for weekends and holidays, and so forth. That’s it. No corporate fat cats, no gala events, no office somewhere. Just the children, and their need for love, and food, and shelter, and education.